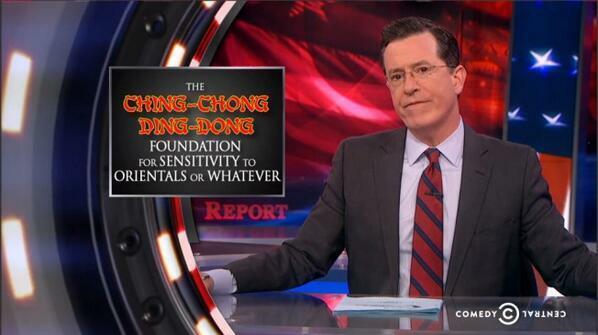 Without question, Stephen Colbert is a juggernaut of political hijinks and online shenanigans. Much like his progenitor, the great Jon Stewart of “The Daily Show” fame on Comedy Central, Colbert has become a political hack (slash) phenom because of his hilarious takes on boring and mundane political issues. Only now, he is finding there is a wall to some humor and it appears that Colbert may have just ran smack dab into it. In fact, he even took to Twitter to apologize for the now deleted tweet that has gone viral. Twice. Many pundits have taken to the air waves, climbed on their own soapbox, and hurled some arsenic-laced darts in the direction of Daniel Snyder, owner of the Washington @#$%^!*s. This is no different than the asinine excuse of stupid or drunk (or both) athletes that scream “My Twitter account was hacked!” No, just your brain was. No one buys it but everyone lets them skate. Maybe things are different now because #CancelColbert is a thing. Mr. Colbert, please pick up the white courtesy phone. That will be Comedy Central’s legal and PR department.